If you’re not already familiar with the work of Ashley Herring Blake, it’s time to get on board, because she’s become a serious force in both queer YA and MG, with one of each out this very season. I snagged her right in between her two 2018 releases (both phenomenal) to ask her about them, her bookselling days and recs, and what’s coming up! Congrats on your newest release, Ivy Aberdeen’s Letter to the World! 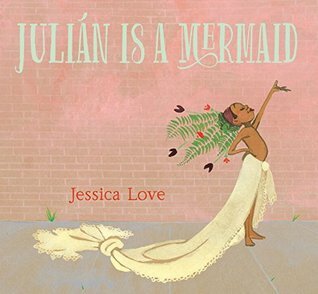 The world of queer Middle Grade is so small; what was it like getting into it? And what’s your favorite thing about Ivy herself? Thank you so much! I’m excited to have the book out in the world. Deciding to write a queer middle grade novel was an easy one for me—there are just too few out there and I really wanted to write a book that could be really meaningful for kids at this age. 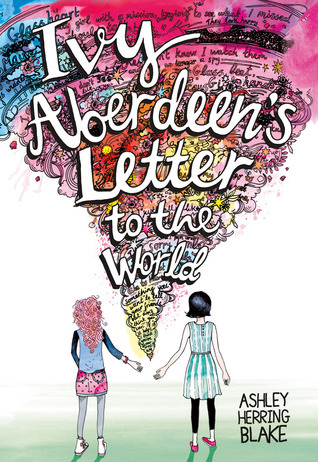 My second YA, How to Make a Wish, was very much the book I needed as a teenager, but Ivy Aberdeen’s Letter to the World is the book I needed at a tween and I just knew I needed to write it. Once it sold though, that was a little scarier, thinking about its reception. Sure, its 2018, but the world is still very much a scary place for queer people and I live in the south. I’ve seen the wrinkled noses and heard the snarky comments first hand. But, really, I think that only proves that we need more queer middle grade books out there. Because if I’m nervous, I know queer kids dealing with identity and questions are terrified. I think my favorite thing about Ivy is drive to explore her feelings. She keeps them a secret from the people in her life, but she lets them all out on paper, and that’s something I never had the courage to do. As a tween, I squashed down any feelings I felt rise up for other girls. In fact, I doubt I even realized I was doing it. It was an unacceptable course for my life, as I saw then, so I didn’t even let it bloom into my heart too much. But Ivy, she lets it in, even if it’s just with herself, and I think that, too, takes a kind of bravery. You also have an incredible YA coming out on May 15, Girl Made of Stars. You know I’m already obsessed, especially with the fact that it’s really a book that has no easy choices or paths, but it’s also releasing at what feels like a really auspicious time. Can you tell us about the book, and what it feels like to have it published now in particular? Thanks, I’m excited about Girl Made of Stars too. It was definitely the most emotionally difficult book I’ve ever written. I get this question a lot—about how it’s the perfect time for the book to come out, how timely it is, that it’s a book for the #MeToo movement, and I don’t disagree. But when I wrote it, these conversations and revelations hadn’t exploded quite yet. There was no #MeToo movement. But there were angry, hurt, ignored, strong, brave, scared women and victims dealing with the repercussions of abuse and assault. And you know, it felt just as timely then as it does now. Unfortunately, I don’t think there has ever been a time when a book like this wasn’t timely. When I talk about it, I want to make sure readers get that—yes, we’re talking about this issue a lot right now and hopefully, that will lead to some real self-reflection, policy changes, consequences, healing, and safety for victims. But these stories have always been. These women, these victims have always been trying to tell their truth and heal and feel safe. Girl Made of Stars, I hope, simply adds to an already rich body of YA literature out there that lifts up and reveals these stories. 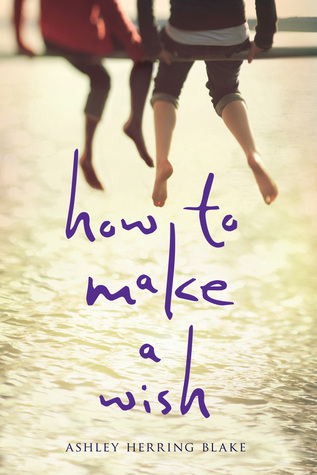 I of course have to give a shout to your last YA, How to Make a Wish, which, like Girl Made of Stars, features an out-and-proud bi protag and a beautiful queer romance. As you continue to embody “Write the books you want to see on shelves” and maybe even “Write the books you needed as a kid,” what stands out to you as really important to have in both your romances and your representation? I think the most important thing to me is to just write a damn good character. I love flawed, messy, real characters and, as I do desire to add to the wonderfully growing list of books featuring bisexual protagonists, one of my biggest goals is simply portray that character as a real person. When writing a marginalized character, there’s a pressure to get it perfect, which isn’t fair at all. I know others, particularly women of color writing women of color, experience this pressure on a much larger scale than I do, which is even less fair. Every bad choice my character makes, every errant thought, every mean thing they think or say, I have to second guess it. Because there’s a feeling that my bi character must represent all bi people and if they come across as a certain way, I’m damning everyone. I think this pressure comes from a good place—the desire to do no harm with our characters, which I fully endorse. People are messy, though. So while I am careful that my bi characters do no harm in terms of bi-erasure or bi-phobia or bi-shame, it’s important to me to write characters who make out with people for the wrong reasons and hurt people they love because they’re scared. I want to read about a character I can relate to and that’s the kind I want to write and no one is squeaky clean or perfect, marginalized characters included. I love creating that room, that space, for my girls to eff up and grow. My feeling about your books is that they really fill in gaps in this really quiet and wonderful way. What are some of the best things you’ve heard from readers about your work? Some of my favorite emails from readers have come in the short time since Ivy Aberdeen’s Letter to the World has released. I’ve had readers tell me they read it and then came out to their family. I’ve had readers echo my own feelings—that they wish they had this book as a tween and can’t wait to get it into young readers’ hands. Each email reminds me why I do what I do, even when it’s hard. I’ve had a number of readers really connect with Grace’s relationship with her mom in How to Make a Wish, telling me it reflected their own relationship in a way that helped them process it. Those are really special messages as well, as I didn’t have a mom like Grace’s and I’m so honored to those who entrusted their story to me that helped me craft Grace’s fraught relationship with her mom. 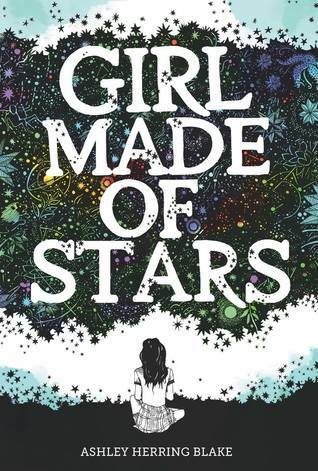 I’m starting to get some messages about Girl Made of Stars and those are probably the most difficult to read, but also the most important and moving. In short, I’m honored and humbled to get to do what I do. In addition to being on the author side of a while now, you’ve also spend some time on the other side of the bookstore counter. What did you learn as a bookseller that authors and/or readers might not know about the business? I loved my time as a bookseller and so wish I could do it again! I just loved being around all the books, you know? I’m not sure if I have any real insider info to pass along, but I will say that it was truly amazing to be able to put the right book into the right person’s hands. Authors, I’m telling you, hug your local bookseller and/or librarian. (I mean, ask first, but if they say yes, give them a squeeze.) Because the work tirelessly, particularly those who work predominantly with kid and teen books, to get you work to the reader who really needs it. In this business, it’s so easy to feel lost among the top-sellers, but being a bookseller really revealed to me that there is place for every book, bestsellers and mid-list alike. 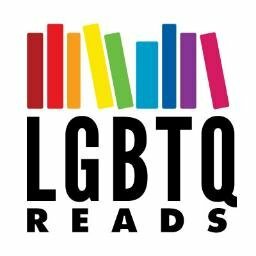 As someone with professional recommendation experience, what are your favorite queer titles to shove in the arms of everyone you know? What upcoming queer titles are you excited about? Oh, I do love this question. *cracks knuckles* So, my absolutely favorite queer book of the past year was Nina LaCour’s We Are Okay. Many of you have probably read it—and it won the Printz—but it is this quiet, perfect, devastating, lovely book that everyone should read and reread. I also must put an adult queer book that just RUINED me a few months ago, and that’s Taylor Jenkins Reid’s The Seven Husbands of Evelyn Hugo. I’m serious, I was just useless for days, crying in my classroom, could’t stop thinking about it. It’s that good. The books I regularly push into people’s arms are Far From You by Tess Sharpe, Under the Lights by Dahlia Adler (ahem), Like Water by Rebecca Podos, literally any book by Anna-Marie McLemore, Let’s Talk About Love by Claire Kann, If I Was Your Girl by Meredith Russo, Echo After Echo by Amy Rose Capetta, any book by Caleb Roehrig, and any book by Sara Farizan. There are two books come out soon (or may be out by the time this posts) that I’ve read and am wild about. Picture Us in the Light by Kelly Loy Gilbert just might be the most perfect book I’ve ever read. I’m not even kissing. And Kheryn Callender’s Hurricane Child is a queer middle grade that is simply gorgeous and is a must-read. As far as upcoming release, I’m beyond excited for Kheryn Callender’s This is Kind of an Epic Love Story, Jen Wilde’s The Brightsiders, Candice Montgomery’s Home and Away, Anna-Marie McLemore’s Blanca & Roja, Tehlor Kay Mejia’s We Set the Dark on Fire, and Claire Legrand’s Sawkill Girls. You have another Middle Grade novel coming in 2019, The Mighty Heart of Sunny St. James. What can you tell us about it? Yes! I’m so excited about this book. Sunny actually might be my favorite character I’ve ever written and I can’t wait for you to meet her. So, this book is about Sunny St. James and it opens when she’s about to go into surgery to have a heart transplant. In recovery, her estranged mother shows up, which throws her New Life plan all out of whack. But Sunny is nothing if not determined, so she forges ahead, meeting a new girl named Quinn and the two embark on a Kissing Quest, in which they try and find a boy with whom to share a first kiss. But, in quintessential Ashley fashion, Sunny starts to realize it might not be boys she wants to kiss. All the while, there’s the long-lost mother, a Former Best Friend who is the worst betrayer to ever betray, and free verse poetry. I love it and I hope you do too. With both queer MG and queer YA under your belt, what are the most notable differences to you in both writing it and publishing it? You know, every book is different, even if you always stay without the same marketing category and age range, but I will say that it took me a while to find my middle grade voice with Ivy. I wrote the whole book in first person, but couldn’t get away from a YA sound, it was so ingrained, so I changed it to third, which I ended up loving for Ivy. Sunny, however, needed a first person, but by then, I had my feet wet and I was able to create an authentic, unique MG voice for her. Of course, I can’t drop eff bombs in middle grade and I’ve found a tenderness to middle grade, even when the characters are dealing with pretty heavy stuff, that I have just fallen in love with. Publishing wise, it’s interesting, because I’ve definitely found it harder to use my normal social media platforms for middle grade. Of course, there are fewer middle grade aged readers on social media (as it should—I’m not letting my own kids touch it until they’re 30), so I’ve had to let go of a lot of my own promo a bit. I’ve done things, but I’ve definitely found less response (granted, maybe that’s because the book and not the market, ha), but it’s been a bit more challenging to navigate. That being said, I’ve interacted with more librarians and teachers with middle grade, which has just been lovely. I’m hoping to find more places online where I can connect with those who get these books into MG readers’ hands. Your Middle Grade editor is none other than the unstoppable Kheryn Callender, who also has two books coming out this year, one MG and one YA. What’s it like working with another author on your books? Ha, yes, I’ve already lauded their two books this year, one I’ve read and one I’m drooling over, so you could definitely say I’m a fan. Honestly, it’s been a dream working with Kheryn. They’re insightful, supportive, wise. They are everything I want in an editor. My agent is also an author, so working with Kheryn in that capacity wasn’t very different. Also, we keep those two things pretty separate. With my reader hat on, Kheryn is an amazing, kickass author and in my author hat, Kheryn is an amazing, kickass editor. I’m honored to work with them. You have truly been blessed by the cover gods. Who’s behind those gorgeous designs, and how much say did you have in them? If you can share, what are you working on now? Ha, good question. I’m finishing up edits on Sunny and ruminating on my next projects. I think I’m just about ready to start drafting my next YA, but that’s really all I can say about it right now. It’s in that fragile “is this the book or isn’t it?” phase. Thanks so much for having me! Preorder Girl Made of Stars at Parnassus Books, B&N, or Amazon! Ashley Herring Blake is a reader, writer, and mom to two boisterous boys. She holds a Master’s degree in teaching and loves coffee, arranging her books by color, and cold weather. She is the author of the young adult novels Suffer Love, How to Make a Wish, and Girl Made of Stars (HMH), as well as the middle grade novel Ivy Aberdeen’s Letter to the World (Little, Brown). You can find her on Twitter and Instagram at @ashleyhblake and on the web at www.ashleyherringblake.com. Note: the above are all books with LGBTQ MCs in which siblings are central to the plot and theme (and in some cases also have a POV), not books with siblings who are LGBTQ. The latter will be a separate post.